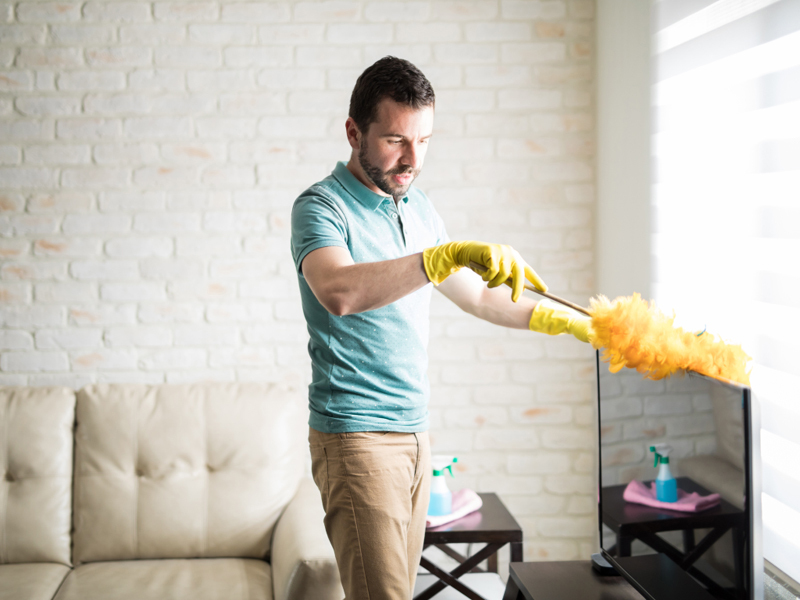 Though you might think that cleaning always makes things cleaner, there are actually some things that you can make dirtier if you clean them incorrectly. Knowing how to clean things in the correct way not only makes things cleaner, but also can save you some time. These tips from the pros for windows, surfaces, floors, and more will allow you to actually get everything in your home clean, instead of inadvertently just making things worse. If you cleaned your entire home and then found out that it really wasn't any cleaner than when you started you'd probably be a bit grossed out and upset. To learn more about what sorts of things you might be cleaning incorrectly, INSIDER turned to some experts. Here's what you need to know. You’re using dish towels to clean your hands, dishes, and counter tops. 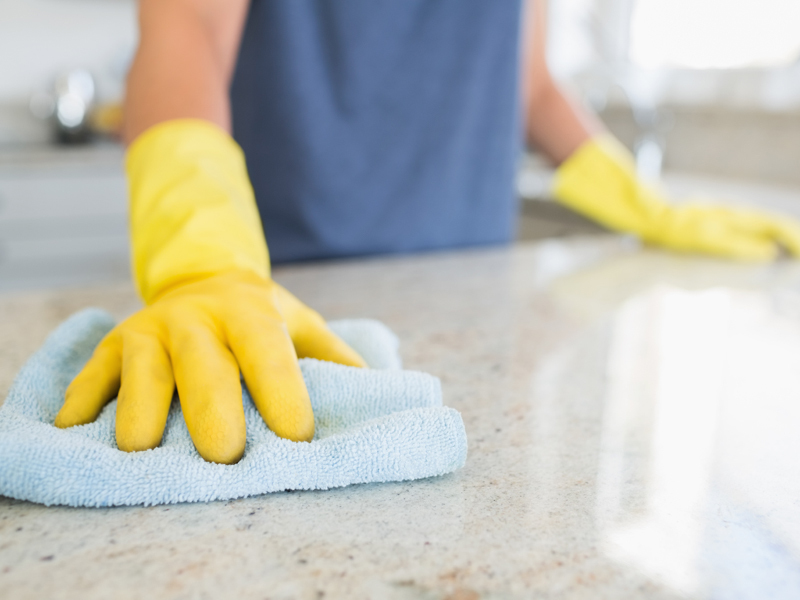 If you're using the same dish towels to clean your hands, dry dishes, and wipe down counter tops, you're likely just spreading germs and messes around instead of truly cleaning things up. "The dish towel picks up crumbs, grease, food, and whatever else (germs, anyone?) is on the counter, and it stays there just waiting for you to wipe your hands or dry dishes or cookware," Mary Gagliardi, a cleaning expert at Clorox, told INSIDER. "Think your cookware is clean? Not if you wipe it dry with a towel that's not really clean!" Keep your towels separate for each use so that you can be sure that they're actually clean. And don't forget to swap them out and wash them regularly. "Let the used towels air dry before adding them to your laundry basket where they can wait for laundry day," Gagliardi said. You’re using a mop to clean your floors. 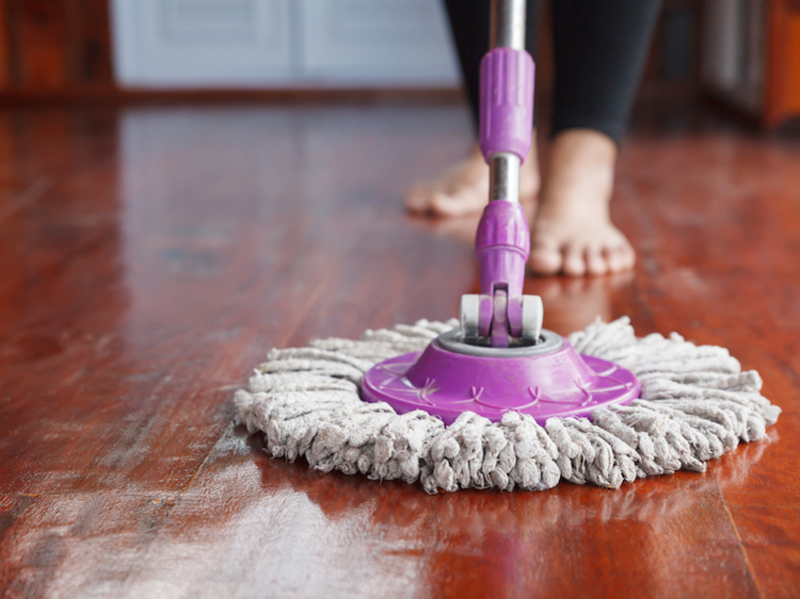 Using mops to clean your floors might sound like a good idea, but in some cases, they can just make your floors dirtier than if you hadn't mopped them. "In addition to leaving it behind, the mop simply moves the dirt around the floor, relocating it but not picking it up," Robert Moeller, the vice president of Anvid Products, told INSIDER. Make sure you're doing your research about what you need to clean your particular floors and make sure that you also know the right process to follow in order to be most effective. 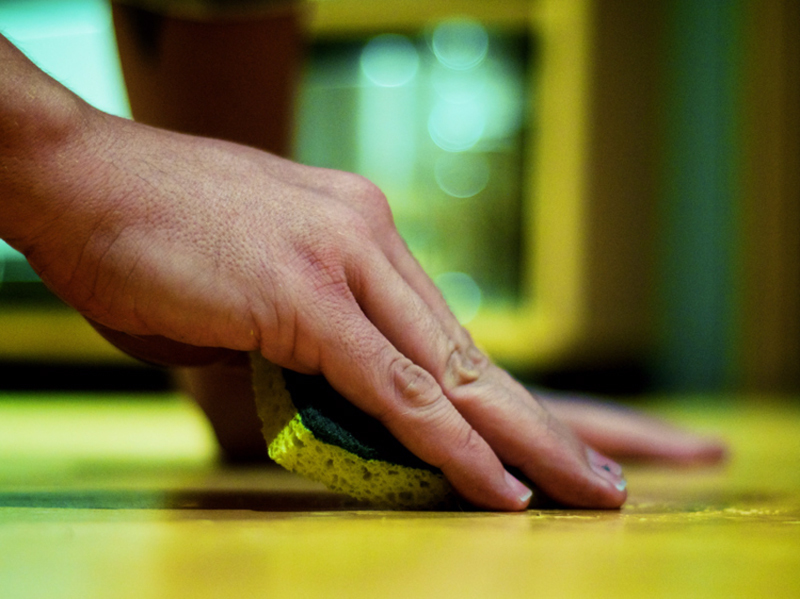 You’re cleaning your floors before you’re cleaning anything else. 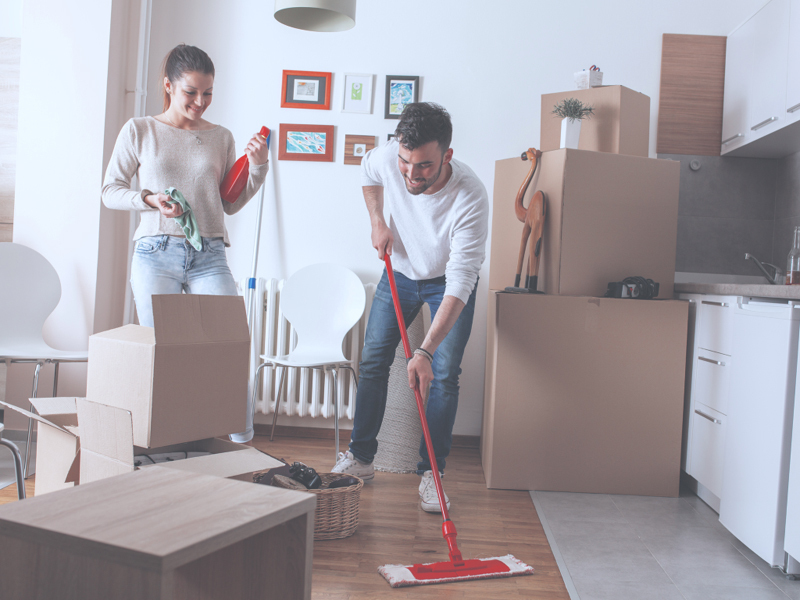 Starting with your floors instead of finishing up by cleaning your floors is another mistake that can result in your home being dirtier than you might think. "That's working backward," Jennifer Rodriguez, chief hygiene officer at Pro Housekeepers, told INSIDER. "Dust and dirt will get on the floor and you'll have to clean them again! Start with surfaces!" That way you won't have to clean things twice. You’re cleaning your windows with newspapers. 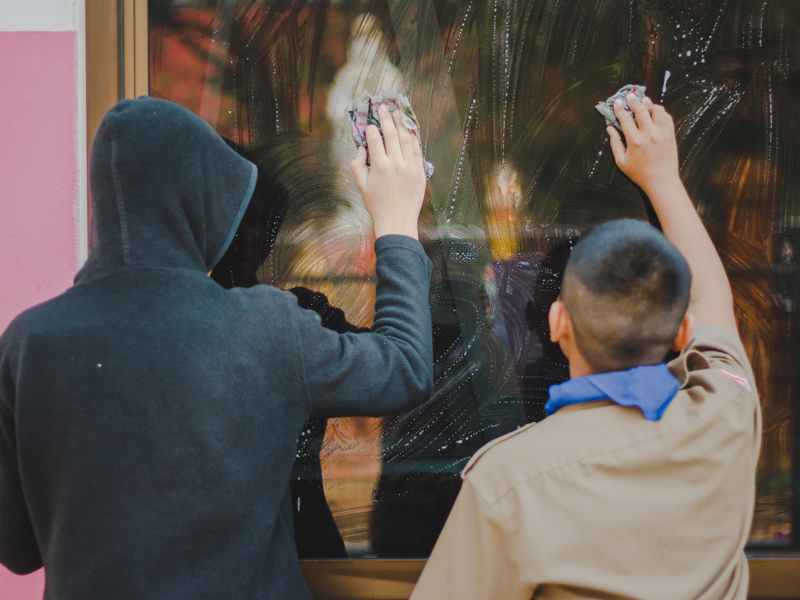 You may have heard that cleaning your windows with newspapers gives you a better clean than using other methods because they won't leave your windows looking streaky. But streakiness isn't the only thing to consider when it comes to evaluating whether your windows are actually clean. "Newspapers have ink and contain other abrasive chemicals that cause more grime," Merin Jay, a window cleaning expert at Top Window Cleaners, told INSIDER. "Great substitute is cleaning with a professional squeegee and microfiber towel." You’re not washing your sink. 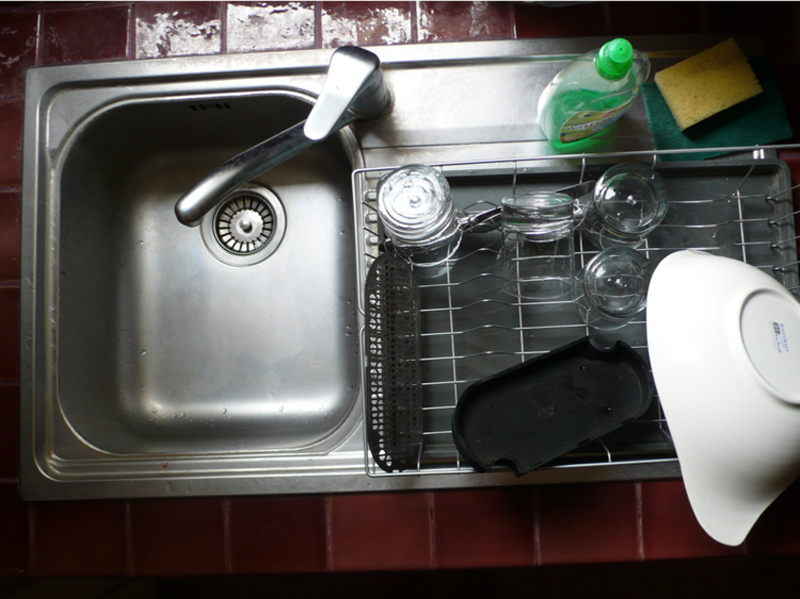 Washing your sink is very important, but all too often, people don't think about the necessity to clean a sink, focusing on their dirty dishes in the sink instead. "Once done washing dishes, you should wash your sink with liquid dishwashing soap," Rodriguez said. "Pay special attention to the strainer which tends to build up a blackish/greyish mud-like material filled with the nastiest germs!" Ensuring that your dishes and countertops are clean is important, of course, but you shouldn't overlook or underestimate the importance of getting your sink clean as well. You’re dusting everything with a dry rag or dust cloth. Dusting and wiping everything down with a dry rag or dust cloth might not actually have as much of an impact as you'd think. "Wiping surfaces with a dry rag will only transfer dust and dirt from one surface to another," Lily Cameron, a cleaning expert at Fantastic Services, told INSIDER. "Using a dry rag on delicate surfaces may even cause scratches. To avoid all of this, consider using a microfiber cloth or a soft duster. They will both catch and hold dust and dirt particles instead of just moving them around." You’re scrubbing the carpet to get any stains or spills out. 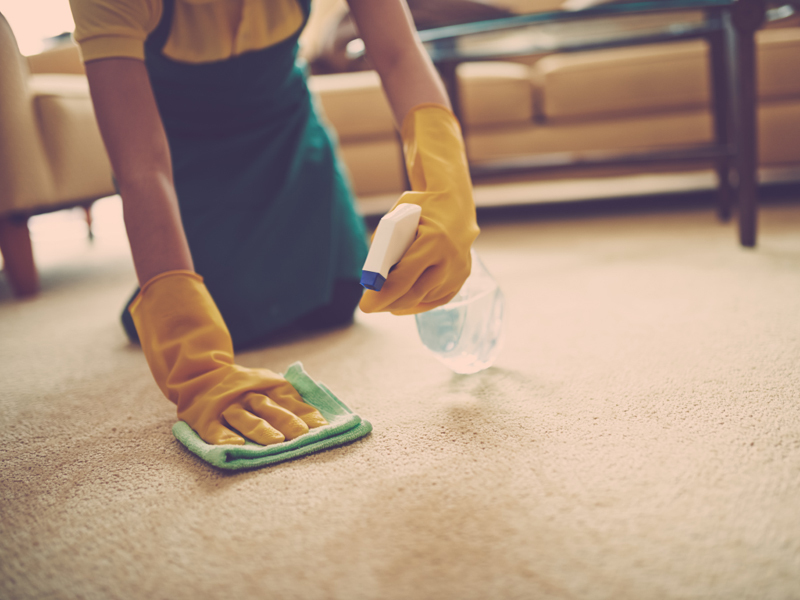 Stains or spills on your carpeting can be anxiety-producing, but scrubbing too much isn't actually doing you any favors, contrary to what you might have thought. "Scrubbing the carpet will untwist the fibers and damage the pile, thus set the stain even deeper into the fibers," Cameron said. "Instead of scrubbing, blot the stain by pressing down with the heel of your hand. Blot the surface using dry towels until as much of the liquid as possible is absorbed. 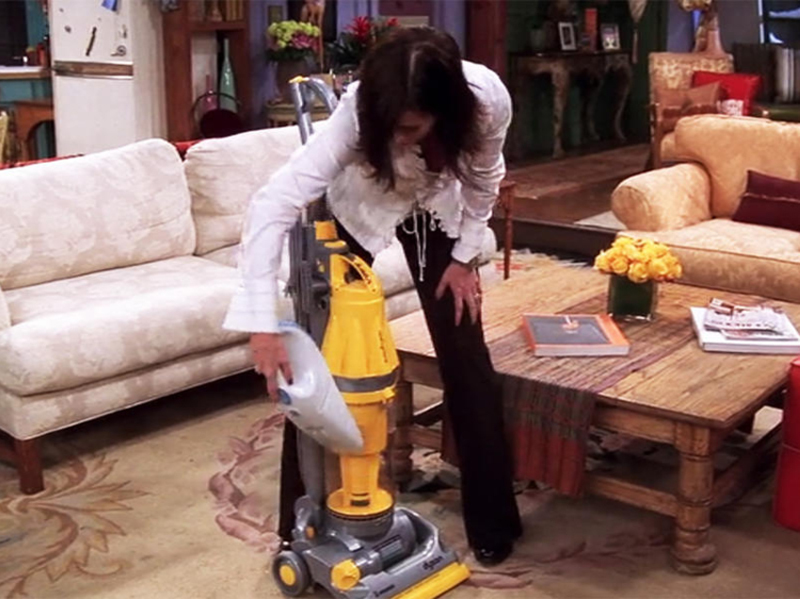 For heavier spills, consider using a wet-dry vacuum (not a normal vacuum cleaner!) cleaner before blotting the carpet." You’re using one cloth or sponge for multiple rooms in your house. If you're using the same cloth or sponge for every space in your house, you might be leaving things dirtier than you would have liked. Rodriguez said that using the same cloths can result in spreading germs, dust, dirt, and other grime all over the house. "Clean one area and wash or use a new cloth," Rodriguez advised. You’re spraying cleaners directly onto surfaces that you’re cleaning. 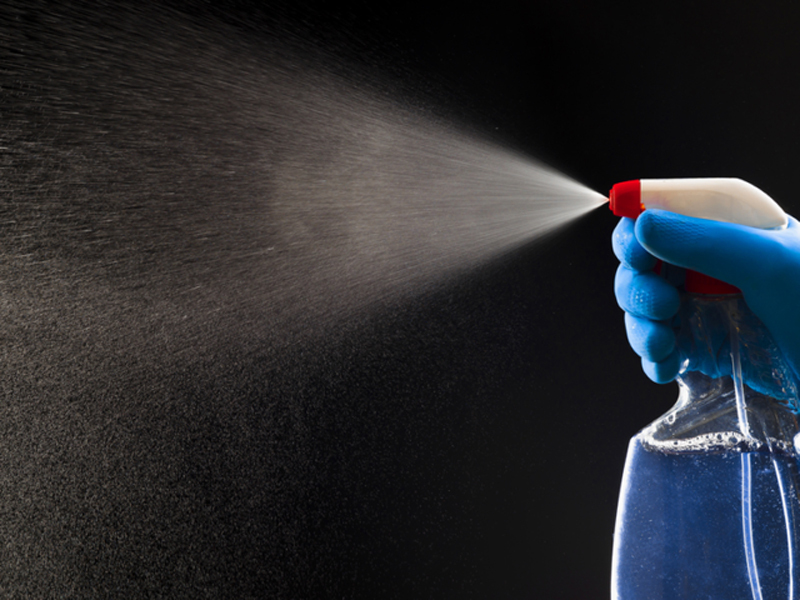 You may not think that it matters if you spray cleaners on the surfaces that you're cleaning or the materials you're using to do the actual cleaning, it actually might have more of an impact on how clean your home's surfaces end up being. "Spraying furniture and surfaces directly can create an oily build-up that will attract even more dust," Cameron said. "Once dust builds up, it may be harder for you to remove it. Evade this by spraying the solution on a cloth and then wipe the surface."